This is the public profile of Chia-Ming Chang, Additional information and high-resolution images are available for accredited press members, to access additional information about Chia-Ming Chang please login as a press member. About Chia-Ming Chang : Chia-Ming Chang is a research designer and a design researcher with more than 10 years experience in both industry and academia. 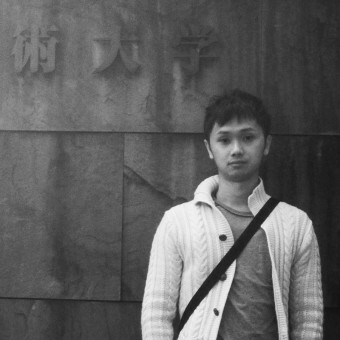 Currently he is a PhD candidate (Scholarship Award) in Interaction Design in Nottingham Trent University in the UK. Chang obtained his MA in Interactive Media from University of the Arts London in 2006. He has been creating various design works and web platforms (Web2.0) during his previous careers since he graduated from National Taiwan University of Arts in 2002. 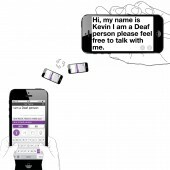 His current research looks at influences of interaction design in new media communication, which is specifically focused on Smartphone UI/UX design that aims to explore new communication opportunities for Deaf/Hard of Hearing people and the elderly. I am a design researcher and a research designer. As a design researcher, I would say ‘the first thing to design a good product is to understand user requirements’. As a research designer, I would say ‘the first thing to design a good product is to make it "GOOLD" enough to afford new requirements’. 2015, Interaction Design, PhD, Nottingham Trent University, Nottingham/UK. 2006, Interactive Media, MA, University of the Arts London, London/UK. 2002, Visual Communication Design, BA, National Taiwan University of Arts, Taipei/Taiwan. Press Members: Request an exclusive interview with Chia-Ming Chang.